STEP UP 2017 is gaining momentum! Step Up to END AHC is a call to action for families to raise, not donate, $500 to fund ongoing and new research into AHC. Joining the effort is easy and personal. Follow the link for information on how to easily join the campaign through the end of the year, and beyond if you wish. 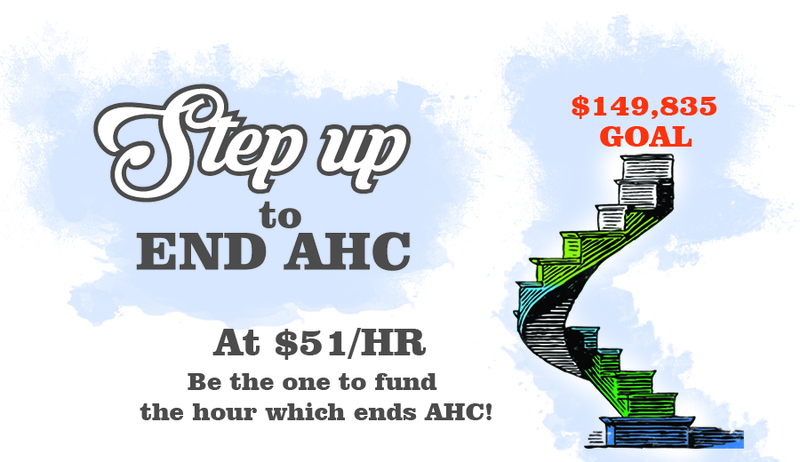 So, STEP UP and help to END AHC for all the AHC kids and their families.